Your family of four will love this lightweight, easy to tow travel trailer. 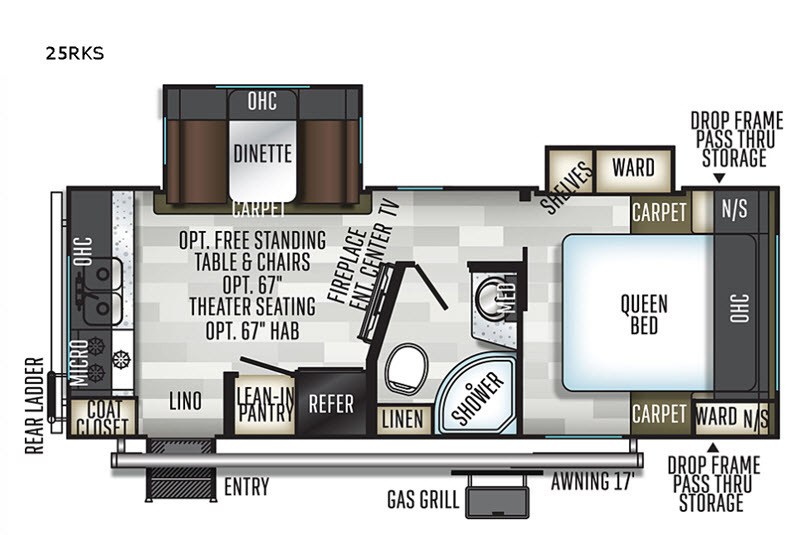 The slide out with the dinette helps open up the living area and provides space for mom to cook in the rear kitchen. 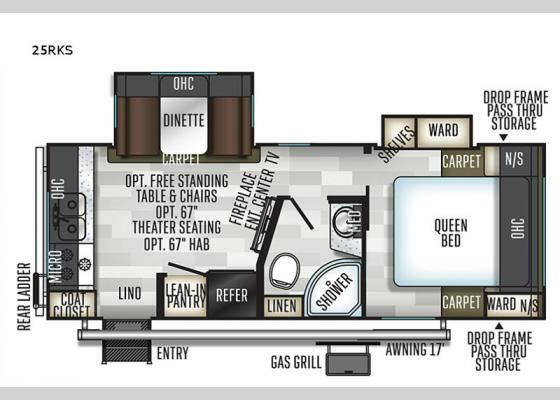 After you've explored all day, come back to the trailer and enjoy a dinner at the dinette while the fireplace is going. The front bedroom with a queen bed is the perfect size space to relax each night. You'll appreciate the extra space with a slide out containing the wardrobe and shelves for your things. The bathroom is centrally located, making it easy for everyone to get in and out. This travel trailer also has a drop frame pass through storage for your fishing poles, and a convenient outdoor gas grill so dad can enjoy cooking outside!